Improve Indoor Air Quality Fast by Killing Airborne Black Mold, Mildew, Bacteria, Viruses and Odors with an HVAC Duct-Mounted Whole House Germicidal UV Light Purification System. We offer the Best DIY Top Rated UV Air Cleaners that Easily Attach to Air Conditioner & Furnace Air Handlers with Laboratory Grade 36 Watt Ultraviolet Light Bulbs at Cheap Discount Prices with Free Shipping! 100% Made in USA! Mold, especially black mold, along with other airborne pollutants such as bacteria, viruses and germs are very dangerous and are proven destroyers of health. Unfortunately mold, mildew smell, bacteria and viruses are found in almost every home, as well as commercial air handlers and ducting, regardless of how clean you keep them. Homes (and furnaces) are extremely well insulated for a variety of good reasons. However, this insulation does prevent moisture from escaping. When combining that moisture with an abundance of food, garbage, dead skin, pet dander and other organic material, you get mold, black mold, mildew, bacteria, viruses and germs that cause colds, allergies, respiratory problems and a variety of unpleasant odors. All of these pollutants and live germs then get sucked up in the air conditioning, heating or HVAC ducts and blown throughout the whole house, which can easily send your indoor air quality out of control. And in most cases, even using the best air conditioner filters isn’t enough because those live germs, smells and submicron particles are too small and float right through for you to breathe. This is where an affordably-priced DIY duct-mounted UV light air purifier system can provide dramatically cleaner air and improve your indoor air quality without spending a lot. Top-rated HEPA and HVAC air filters are great, but only remove larger dust, mold, and other particle pollutants and can’t remove the smaller, more dangerous microbes, mold spores airborne bacteria, virus or germs. UV (ultraviolet light) air cleaners provide germicidal air treatment, killing black mold spores, mildew, bacteria, viruses and other germs while they are in the furnace ducts. They are very good for getting rid of household odors and musty air handler smells, too. By installing a quality germicidal UV light air purification system with 36 watt bulbs in the ducts of your air conditioner, heating or HVAC system, you will have a lab-proven way to destroy and control those harmful indoor air pollutants before they get blown throughout your home. Air conditioner-based whole house UV light air cleaners use lab-grade lamps that produce lab-grade UV-C light rays and ions which destroy the nucleic acids of micro-organisms disrupting their DNA with UV radiation, leaving them unable to perform vital cellular functions, effectively killing them and the musty smells they produce. Top rated HVAC duct mounted UV light air purifiers (in addition to having a particle filtering system) are one of the best ways of sanitizing the air of homes, reducing colds, allergies, asthma attacks, odors and other health issues caused by bacteria, viruses, germs, black mold and mildew. Most people with allergies find that their symptoms are eliminated after as little as 24-48 hours after just the installation of a germicidal duct mounted UV light air cleaner in their air conditioner or furnace system. And many customers will buy DIY UV light treatment systems to work together with an air handler-based filtration system for maximum odor and air quality control. There are many whole house UV light air purifier systems on the market, but they are NOT all the same. The wattage of the UV lamp has a lot to do with how effective it is. UV indoor air cleaners with ultraviolet light bulbs less than 36 watts are not strong enough to kill microbes or many of the odors found in most homes and air conditioning systems. This is because UV light lamps that are less than 36 watts do not provide a large enough dose of light rays or ions to destroy mold, bacteria and smells found in furnace ducts and air handlers. Laboratory tests have shown that quality DIY germicidal UV air cleaners with light bulbs of 36 watts are strong enough to kill and control over 99% of the airborne bacteria, viruses and molds (even black mold). The UV air treatment systems on the market with 60 watt bulbs are overkill and will increase your electric bill unnecessarily. For best results and maximum germicidal action, we recommend that you buy a top-rated USA-made HVAC duct mounted UV air treatment system and combine with a whole house filtration system. APC is one of the best, if not the best manufacturers of top-rated duct mounted germicidal ultraviolet light air purification systems. All APC UV light air cleaners use quality 36 watt laboratory strength ultraviolet bulbs and are made from powder coated steel, with solid state electronic control systems. They are virtually indestructible, lasting for years without ever rusting and make the perfect addition to any whole house filtration system. The 36 watt UV lamps use about as much electricity as a small light bulb, and provides enough ultraviolet light to kill over 99% of airborne mold and other germs in your indoor air, even E. coli, black mold, and others. All APC whole house UV light air cleaning systems are UL approved and easily attach to your central air conditioning, heating, HVAC system’s duct work and over the coil. (It takes about 15 minutes.) These UV air cleaners work well in commercial air handlers, as well, keeping coils clean and reducing high-price maintenance costs. 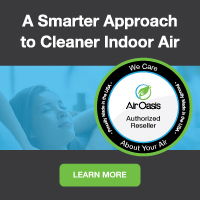 At Air Purifiers and Cleaners.com, we sell only the very best central air and heating duct-mounted UV air treatment systems with true lab-grade 36 watt germicidal ultraviolet light bulbs. Being an online store, we don’t have the overhead of traditional stores. These savings are passed to you allowing us to offer the best whole house UV light air cleaners at cheap discount prices with free shipping. We make it easy and affordable for you to get the top rated duct mounted UV light air treatment system you need to kill mold, destroy bacteria & viruses, reduce colds, allergies, asthma attacks, reduce musty mildew smells and other odors, and prevent a variety of health issues. If you have any questions about the ultraviolet light air purification systems we have for sale please let us know and we will be more than happy to assist you. Take control of your indoor air quality and your health and order a HVAC Duct Mounted UV light air purification system for your home today!